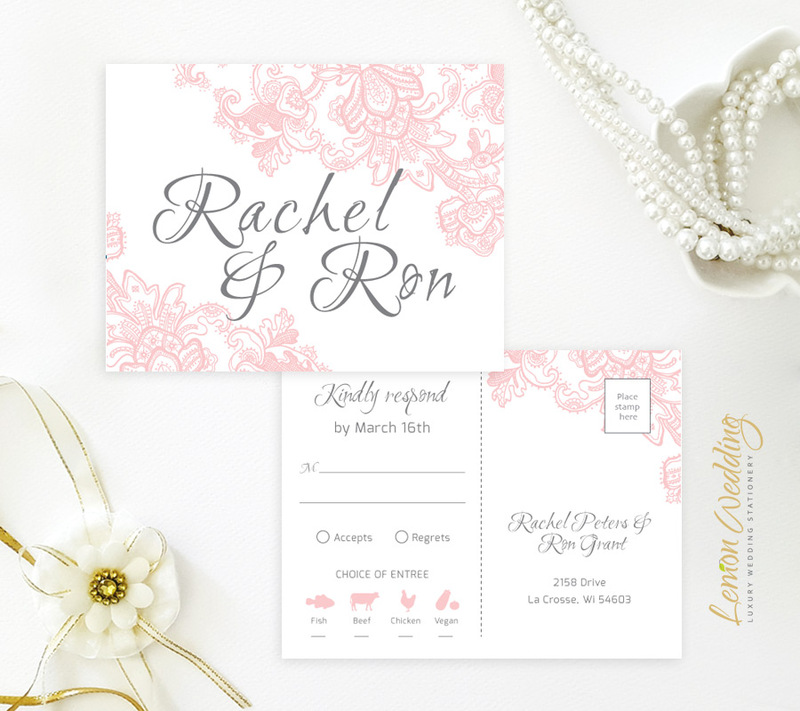 With your wedding just around the corner, invite those close to you to the event with our soft Pink Lace Wedding Invitations. 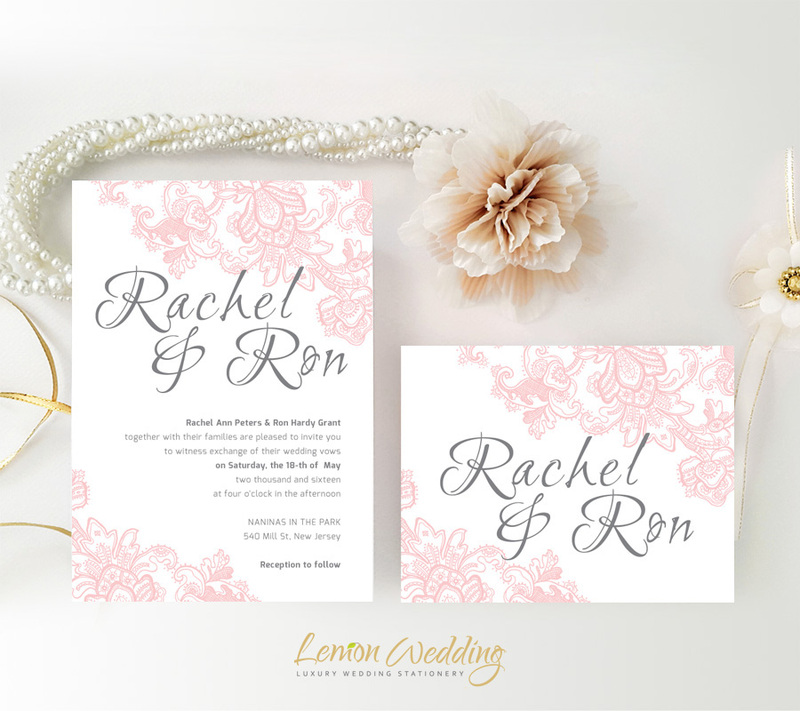 Ideal for a romantic wedding ceremony, our lace inspired invitations will beautifully announce your upcoming nuptials. 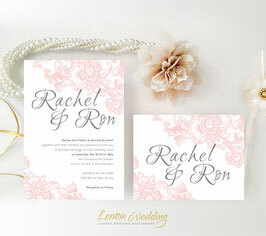 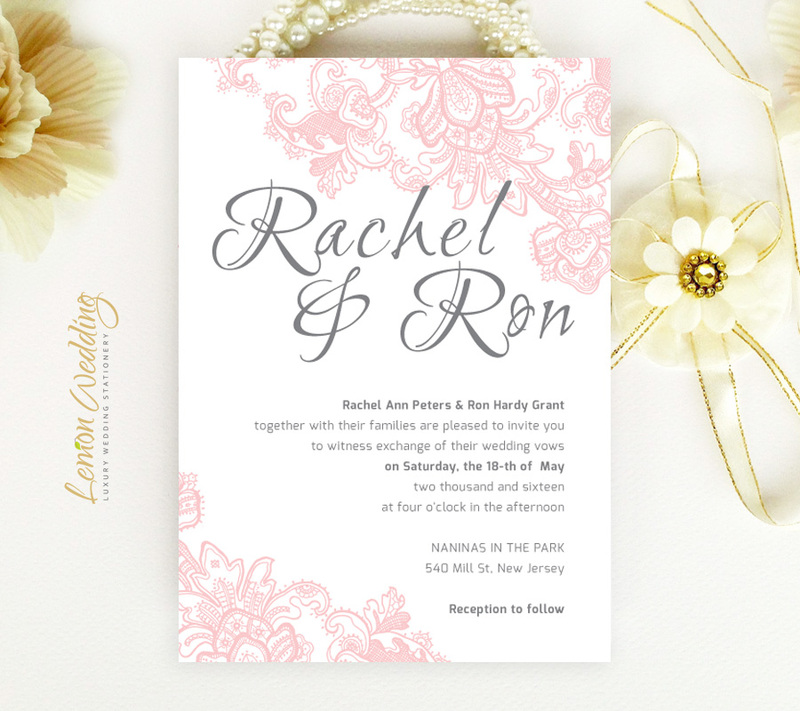 Our pink wedding invitation set includes wedding invites and RSVP cards finished with elegant calligraphy.